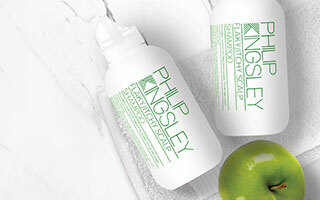 From more than 50 years of trichological experience, we know that correct shampooing can make a huge difference to the look and feel of your hair. Try incorporating these steps into your daily regime to promote the optimum vitality and well-being of your hair and scalp. Before wetting your hair, gently run a wide-tooth comb through it. If your hair is tangled when you start washing, it is likely to get more knotted. Start at your ends and gradually work your way up to the root to avoid snarling and breakage. We suggest using a ‘saw-cut’ comb in which each tooth is cut into it, making it smoother - they are available in plastic or vulcanite (hard rubber). Avoid cheap plastic combs made from a mould as these can cut into your hair. Metal combs are even worse as their edges can lacerate your hair. Pre-soaking your hair is very important. If you wet your hair thoroughly, you will need less shampoo, and applying too much shampoo can cause your hair to look dull and is also a waste of product. Use warm water to wet your hair and gently draw your fingers through it. Do not pour shampoo directly onto your hair. Instead, pour it onto the palm of your hand, rub your hands together and then smooth the shampoo over your hair. Gently rub your palms over your hair, and massage your scalp with your fingertips in a gentle kneading motion. Massage on any part of your body is relaxing and gives you a feeling of well-being - this is particularly so in scalp massage and shampooing. Continue the massaging action for approximately 30 seconds and every so often run your fingers through your hair from front to back in order to avoid tangling. One wash is all that is needed if you wash your hair daily. It is not necessary or healthy for you to vigorously rub your scalp. 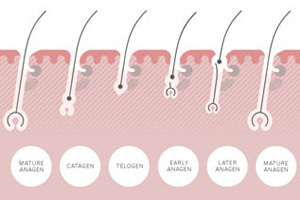 This can sometimes lead you to pull out and break your hair, and can also irritate your scalp. A common cause of dull hair is insufficient rinsing out of shampoo. We suggest that even if you think you have rinsed enough, you should rinse again. There is no reason to finish off your rinse with cold water, unless you enjoy it. A ‘cold rinse’ does not in fact make your hair shinier; it is conditioning which does this. 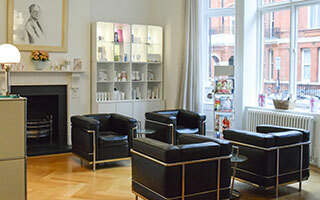 If you would like more information, our clinic based in London and New York specialise in hair and scalp treatments.